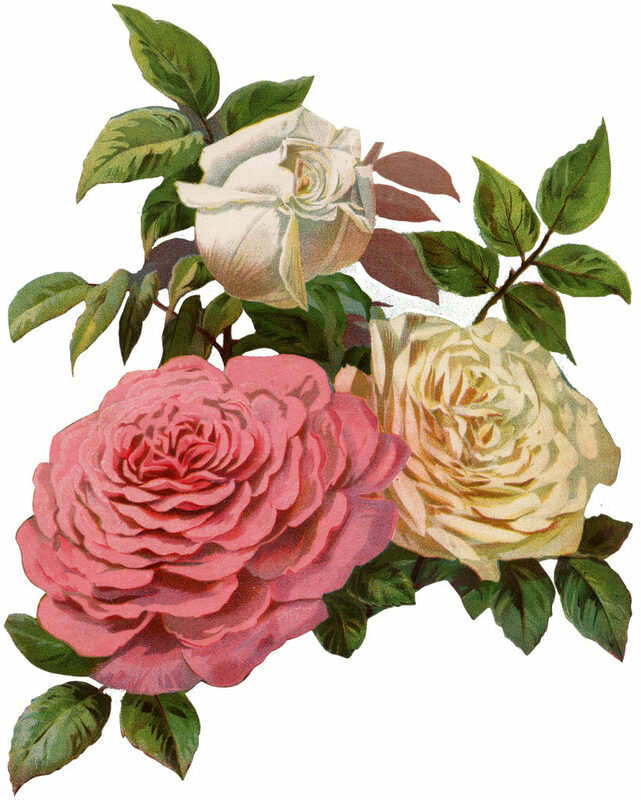 Today I’m sharing this Lovely Victorian Cream and Pink Roses Print! A huge pink rose with rows of ruffled petals shares the image with a beautiful cream rose with pink markings and a cream bud. The green leaves are tinged with hints of deep pink. So nice to use in your Spring Craft or Collage Projects! Thank you for such lovely images you share with us. These are absolutely gorgeous and really appreciate the beauty!